I recently read Laura from Buy now/blog later for a while and when I read this post I knew I just had to see if The Boy had been paying any attention at all to me. The premise is simple – list out a series of beauty products and then sit back and listen to the perception of their purpose. He was given the products to view and was asked to describe their purposeI did hope that he would have some sort of knowledge about makeup. Eyeliner? Eyeshadow …it applies color to your lids and makes you look beautiful. So how’s this…I finally start of 2014 by jumping straight in with a book review. A life update will hopefully come later this week. I failed at my GoodReads goal for last year, but I can’t say that my life was not awesome. Let’s get the show on the road with the book review though. I just finished Looking for Alaska by John Green. 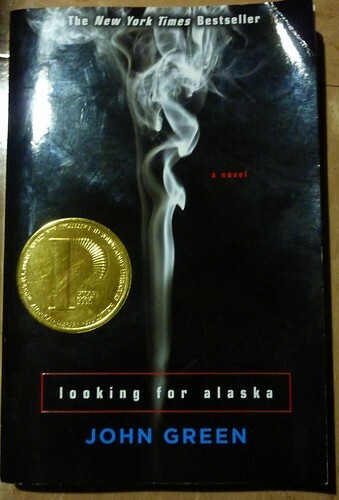 This is one of John Green’s most famous books to date. It’s a New York Times best seller and a Michael L. Printz award winner not to mention that it is probably one of the most quoted books on Tumblr. This book is a year in Miles “Pudge” Halter’s life. It is probably a little less than a year, but over an entire school year beginning in July and ending in about June. Pudge has lived his life waiting for something to happen and he thinks that going to boarding school is where his life will begin and being fascinated with famous last words he goes off to Culver Creek Boarding School hoping to find a reason to really live and give him some famous last words. On his first day he meets his roommate Chip who introduces him to Alaska Young, the girl of Pudge’s dreams. Pudge becomes entranced by Alaska and apart of her world that the boarding school no longer becomes safe. Pudge becomes obsessed with knowing more about Alaska and that leads him down a road with no answers. I definitely recommend that you read this book. I almost bought another copy of this book just so that I could have the new anniversary edition that’s out in stores now! *Fingers crossed * I’ll be back with another post for you tomorrow! 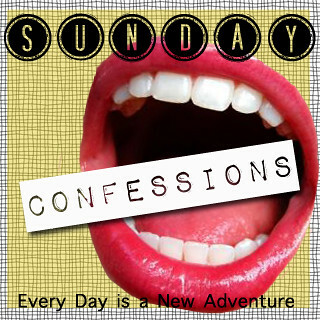 Today I’m once again linking up with Alyx from Every Day is a New Adventure. I have not done one of these in a while and I’ve missed it. 2. Today I went to the salon and got my hair done and I absolutely love it. They were also doing a photo shoot at the salon today perhaps for their website so things were crazy. 3. I actually do have a bunch of posts lined up, but life has been crazy and I will tell you guys very soon. I can’t right now though, it just doesn’t seem right. I have been posting pretty regularly on my tumblr though since I’ve been doing the 30 day green smoothie challenge which I’m almost done with. 4. I think that it’s really strange that I’m in love with berry colored items lately. 5. I can’t believe that the school year is nearly done here and it’s going to be summer break soon! 2. Eating: at the moment nothing thankfully, I’m trying so hard to lose weight…. 8. Drinking: nothing at the moment, but perhaps I’ll grab a glass of water in a bit…. 10. Beginning: to feel less afraid to do amazing things and care less about what people think. I will see you soon with another fabulous post.